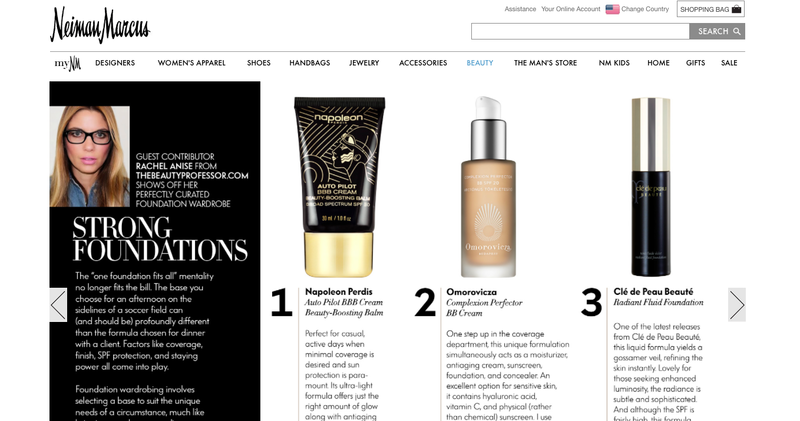 Above: Beauty Professor is featured in the October 2014 Neiman Marcus Beauty Cue! I hope your week is off to a wonderful start! I just wanted to quickly share that my foundation wardrobing piece for the Neiman Marcus publication theblog (discussed HERE) also made an appearance in the October Beauty Cue...the full post can be viewed HERE. The Beauty Cue is an innovative, "moving magazine" dedicated to all things beauty with product spotlights and tips and tricks from industry insiders...and, it's free to subscribe! Bottom Line: I am truly honored to be able to have this piece (written on a makeup item about which I feel endlessly passionate!) surface in two esteemed publications and implore you to consider signing up for the Beauty Cue if you haven't already! SO many good things ahead...starting with swatches and a preliminary review of the new Sisley foundation ; ) Have you yet tried it? 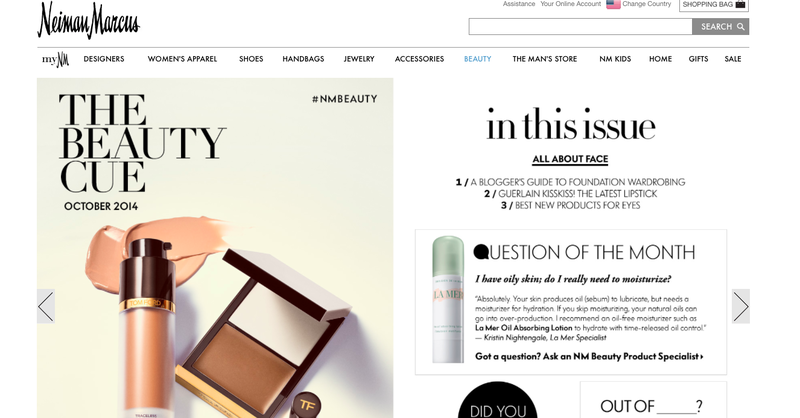 Love your feature on the Beauty Cue! So fun! Thank you for your sweet words! I love the new Sisley foundation but my skin feels better in the CdP, especially over the course of hours and hours of wear. Plus, I have a slightly better color match in the CdP! Well done, but then you are the foundation expert! !